We Are One Of The Leading Fermenter Bioreactor Manufacturers in INDIA. Having year of experience in this domain, we are involved in offering unmatchable quality of Laboratory Fermenter. 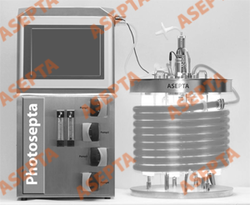 This Laboratory Fermenter is extensively used in various suitable applications such as in fermentors, bioreactors, cell culture. Further, our products are of optimum quality and highly durable in nature. owerful/ Accurate brushless motor: From 1 to 2000 RPM. Owing to the rich industrial experience and expertise in this business, we are involved in providing Lab Fermentor.